I got something finished this week. I needed to do some samples for a class with kids and their parents for a Church group. Wish me luck. My Brother asked for my help. How could I say no. He is my computer geek and has come to my rescue a few times. 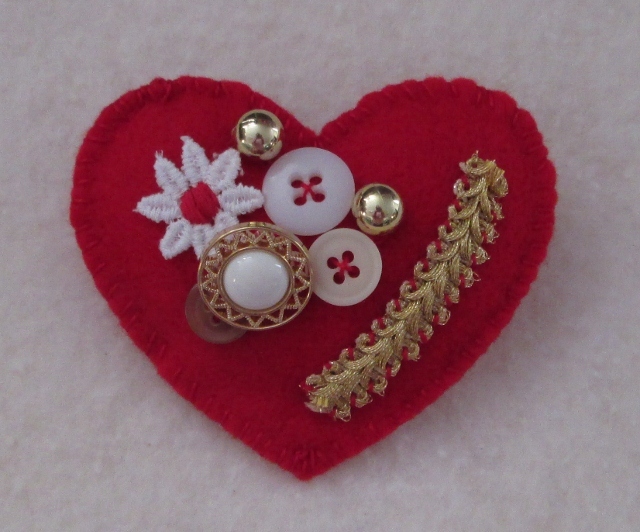 I thought Felt Heart Pins just in time for Valentine's Day. 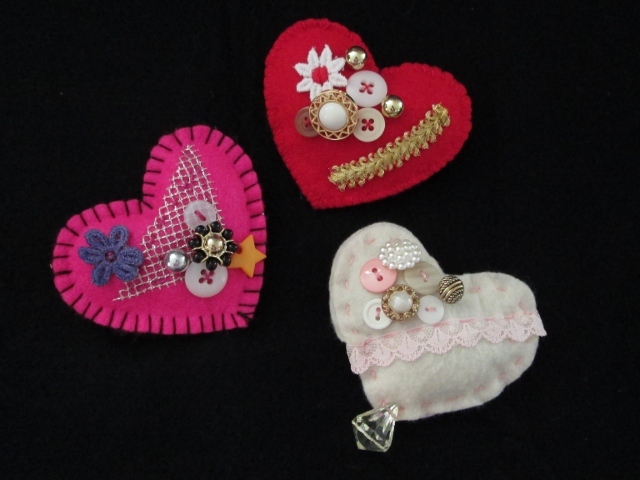 I used craft felt and peril cotton thread and lots of trims. 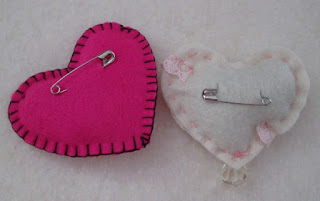 I have know some of the kids and parents will not have sewn much so I hope all goes well. I think about my brother sewing and laugh. I have three different stitches I have done for the outer edge. There is just a little bit of stuffing inside. 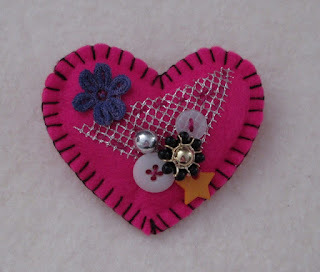 The plan is to add a little trim of lace, netting, or cording to the heart then add buttons and beads in a cluster. I have added today's post to Crazy Mom Quilt's Finish Up Friday, and Can I get a Whoop Whoop. To keep them low cost we are using large safety pins on the back. I do this before we do any sewing. I am feeling better finally but now I have a sick teenager. Thanks You all for you Get Better comments. It is good to know you have friends out there thinking about you. I had trouble doing any kind of sewing for days so you know I felt crappy. These are very sweet and glad you are feeling better. OK. These are super sweet. :) I hope your kiddo feels better FAST. Those are so cute, Cathy!! What a wonderful simple craft idea! Whoop whoop!! What a cute project! 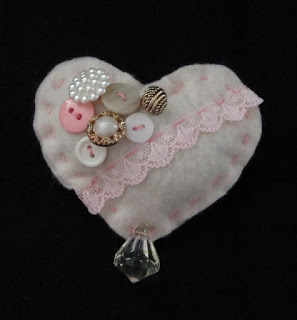 Your embellishments are perfect. What a great project! And yes, easy enough for beginners to do, or even older children. Hope your teenager is feeling better today.